Various office suites include macro-recording tools with which users can record a series of selected options and actions within the applications. For example, you could record a macro that adds page numbers and a header to a document. Then you can replay the macro to add the same page template to multiple documents. However, beyond office suites, macro tools haven’t been widely incorporated into alternative software. As such, Google Chrome, Firefox, Opera, Edge, and other browsers don’t include any built-in macro options. Browser macro-recording tools would certainly come in handy. With them, you could record macros that open a group of pages instead of searching through bookmarks and opening each site separately. Or you could record macros that log into websites or play YouTube videos. As Google and co haven’t added macro options to their browsers, Alertsite and Ipswitch have developed Chrome extensions that record web browser actions. This is how you can record macros with DéjàClick and iMacros. 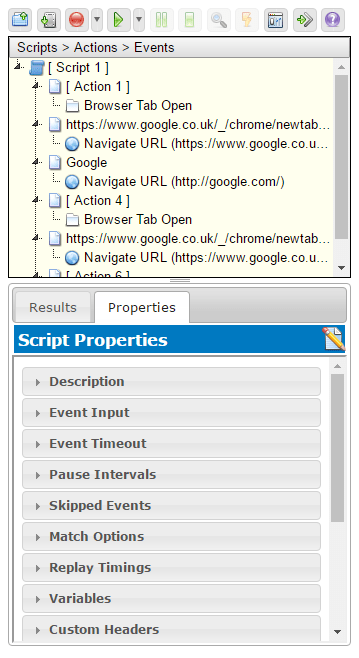 DéjàClick is one Chrome and Firefox extension that enables point-and-click browser recording to generate web scripts. You can add it to Chrome by opening this page and pressing the + Add to Chrome button there. Once you’ve added the extension to Chrome, you should find a DéjàClick for Chrome button on the browser’s toolbar. Click that button to open the sidebar in the snapshot directly below. Before you start recording a macro, enter ‘chrome://extensions’ into the browser’s address bar, press Return and select DéjàClick’s Allow in incognito option. This activates Simulate New User that ensures macros record without cookies. Now press the Begin recording button on the DéjàClick for Chrome window. Next, open Bing and Google in two Chrome page tabs. Press the Stop record/replay button. You’ve recorded a script that opens Bing and Google in two alternative page tabs, and the DéjàClick window includes the script for that as shown below. Close the Google and Bing page tabs, and then press the Begin replay button. That plays the macro which opens Google and Bing in Chrome. To save the macro, click the Save your recording as script button. Then you can enter a title for it and press the Save button. 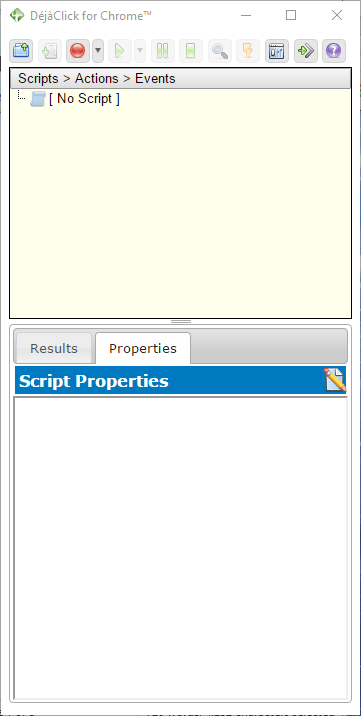 You can press the Open a recorded script button to open any saved macro. 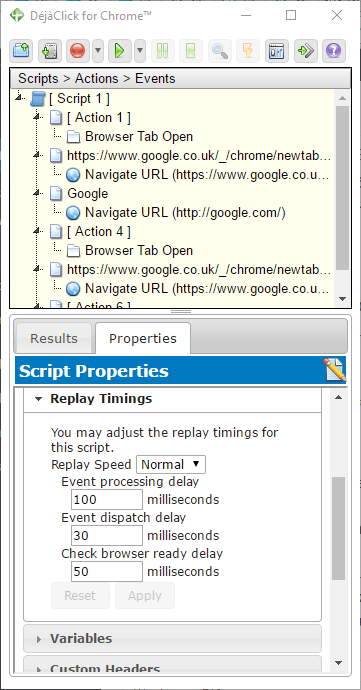 To adjust the macro replay speed, click the Properties tab and Replay Timings to open the options below. There you can select Faster from the Replay speed drop-down menu. IMacros is another extension you can record Chrome macros with that’s similar to DéjàClick. 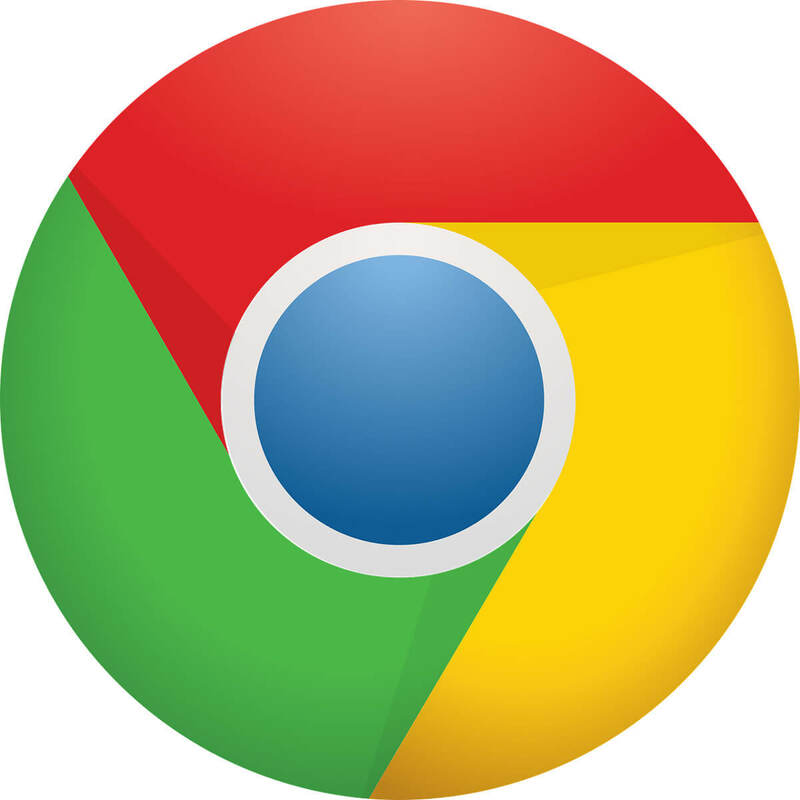 Open this iMacros page to add the extension to Google Chrome. Next, click the iMacros button on Chrome’s toolbar to open the extension’s window in the shot directly below. Press the Save As & Close button to open the Save macro as a window. Then you can enter a title for the macro there. To play the macro, select it on the Bookmarks tab, click the Play tab and press the Play Macro button. Press the Play Loop button to replay the macro a certain number of times. Enter a value in the Max box to configure how many times the macro playback loops. Note that iMacros also includes some demo macros for you to try. 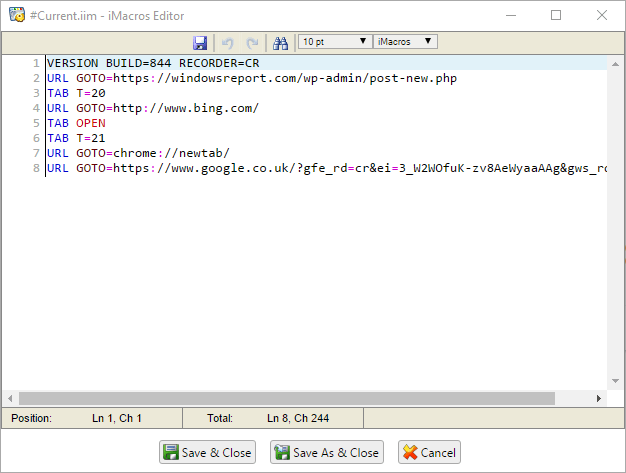 Click Demo-Chrome on the Bookmarks tab to open a list of recorded macros. You can right-click the macros to open the context menu shown in the shot below. Then you can select some extra options to add new folders, edit and erase macros. DéjàClick and iMacros are two of the best macro-recording extensions for Google Chrome, Firefox and Internet Explorer. With those extensions, you can record macros that open a group of websites, fill out forms, enter keywords in search engines, fill out website log in fields and much more! You can also record macros for Windows with some of the software mentioned in this article.